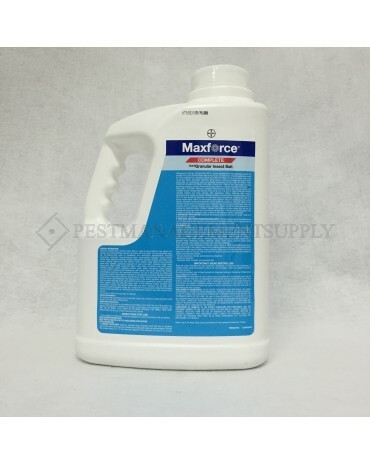 Maxforce Complete Brand Granular Insect Bait controls a widevariety of ant species, plus cockroaches, crickets, silverfish andmore. The Simply Irresistible™ food ingredients combined with thedelayed-action kill of the active ingredient hydramethylnon (whichprevents pests from turning food into energy) eliminates antcolonies through the exclusive Maxforce Domino Effect™. 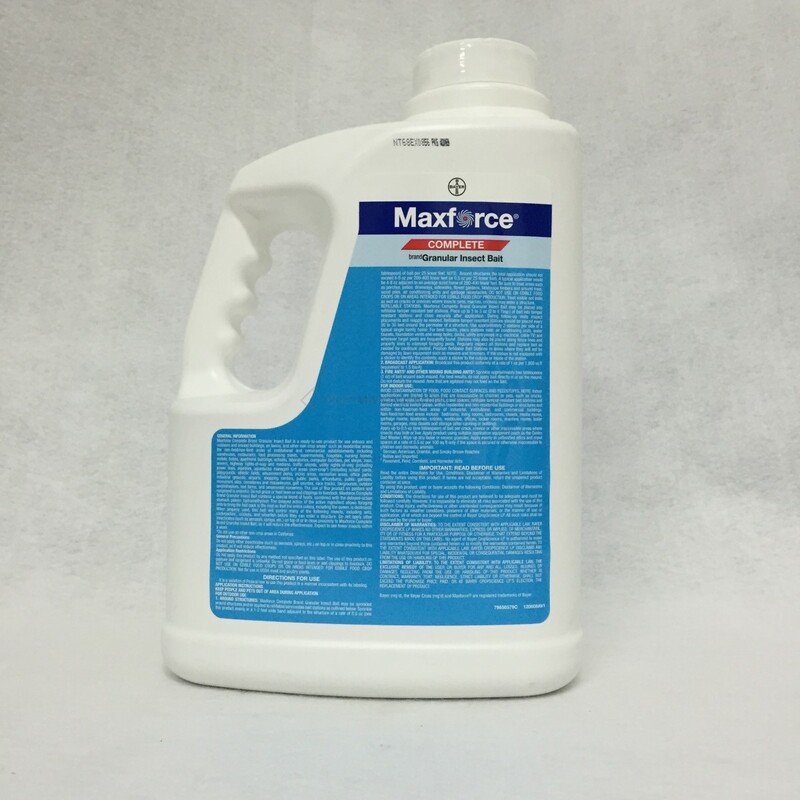 Maxforce Complete Brand Granular Insect Bait is a ready-to-use product for use indoors and outdoors and around buildings, on lawns, and other non-crop areas* such as residential areas, the non-food/non-feed areas of institutional and commercial establishments including warehouses, restaurants, food processing plants, supermarkets, hospitals, nursing homes, motels, hotels, apartment buildings, schools, laboratories, computer facilities, pet shops, zoos, sewers, highway rights-of-way and medians, traffic islands, utility rights-of-way (including power lines, pipelines, aqueducts) managed turf areas (non-crop*) (including school yards, playgrounds, athletic fields, amusement parks, picnic areas, recreation areas, office parks, industrial grounds, airports, shopping centers, public parks, arboretums, public gardens, monument sites, cemeteries and mausoleums, golf courses, race tracks, fairgrounds, outdoor amphitheaters, sod farms, and ornamental nurseries). * The use of this product on pasture and rangeland is unlawful. * Do not graze or feed lawn or sod clippings to livestock. Maxforce Complete Brand Granular Insect Bait contains a special blend of foods, combined with the delayed-action stomach poison, hydramethylnon. The delayed action of the active ingredient allows foraging ants to bring the bait back to the nest so that the entire colony, including the queen, is destroyed. When properly used, this bait will control many of the following insects, including ants, cockroaches, crickets, and silverfish before they can enter a structure. Do not apply other insecticides (such as aerosols, sprays, etc.) on top of or in close proximity to Maxforce Complete Brand Granular Insect Bait, as it will reduce the effectiveness. Expect to see fewer insects within a week. * Do not use on other non-crop areas in California.